← It’s Time for the Five Finger Friday Fandango! Today TMOTH (The Man of the House) and I went foraging at the local Farmer’s Market. 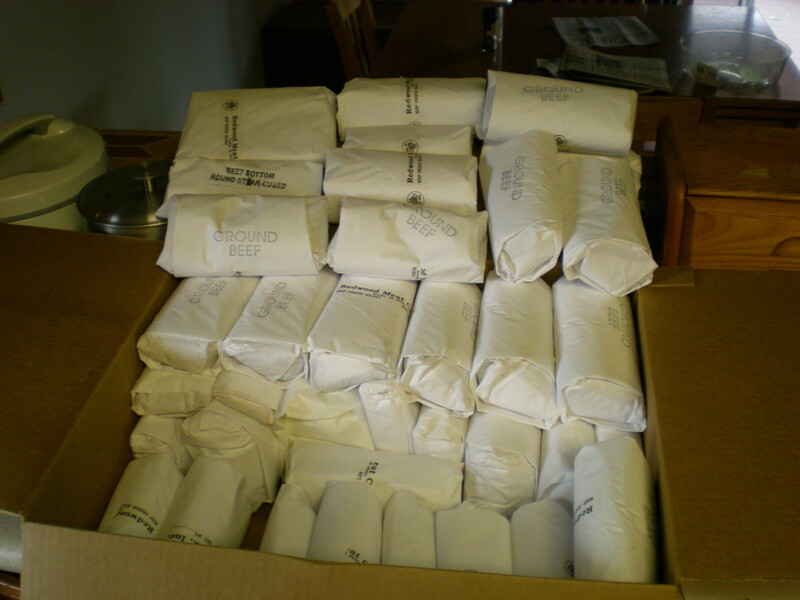 I had made arrangements with John Ford Ranch of Willets to pick up a 50 pound box of his FABULOUS grass fed beef. Here it is in all its glory. 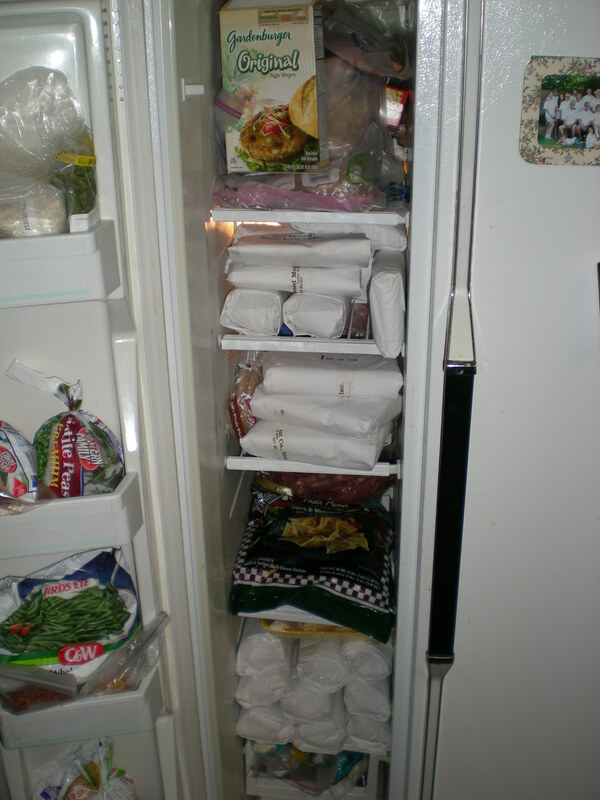 Our freezer is now stocked for any occasion. The Gardenburgers are for our DIL. The pasta and potstickers are for TMOTH’s offspring. They do not eat Paleo. Here are the rest of the things we gathered today. We are also still harvesting lettuce and spinach from our garden. We got enough eggs to last for two weeks. The dozen on the left are duck eggs. I plan to go out with my hiking club next week unless it is raining, so we’ll miss the Farmer’s Market. 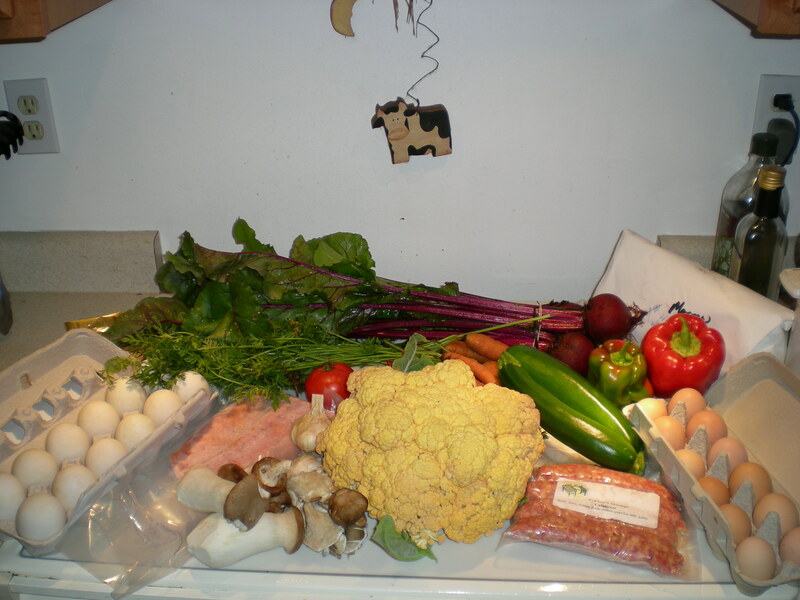 This week I plan to cook pumpkin and sausage soup, Cauliflower, Ham and Gorgonzola Salad and Cubed Round Steaks. TMOTH is doing a slow cooked London Broil today. He’ll probably do something later in the week with the lovely Wild King Salmon we got from Carson’s Catch. This entry was posted in My Paleo Plate and tagged Ancestral Diet, Cooking, Farmer's Market, Paleo diet, Paleo Lifestyle, sustainable food. Bookmark the permalink.